Competing for Customer Attention? You Should be Competing for Their Affection. Every emotional connection you make with a customer has a ripple effect that extends to nearly their entire network. 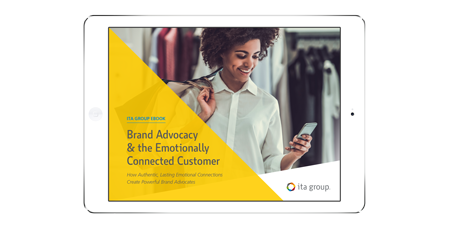 Starting today, connect with them in more meaningful ways to build brand advocacy. According to a study by Forrester Research, 92% of consumers trust brand advocates, whereas only 20% trust online ads. Authentic, lasting emotional connections are more important than ever. Show people why they should connect with you.